EghtesadOnline: Iran's exports to the European Union during the first three months of 2018 stood at more than €2.91 billion, indicating a 5% rise compared with the corresponding period of the year before. Eurostat's data shared with the Financial Tribune also show the country’s main export destinations in the European bloc over the period were Italy with €817.88 million worth of imports, Spain with €577.7 million, France with €552.54 million, Greece with €548.53 million and the Netherlands with €113.6 million. The exported goods mainly included mineral fuels, mineral oils and products of their distillation, bituminous substances and mineral waxes (€2.53 billion), iron and steel (€89.43 million), edible fruit and nuts, zest of citrus fruit or melons (€84.54 million), plastics and articles thereof (€52.95 million), fertilizers (€14.62 million), coffee, tea and spices (€14.29 million), organic chemicals (€13.05 million), pharmaceutical products (€11.14 million), carpets and other textile floor coverings (€10.34 million) and products of animal origin (€9.83 million). 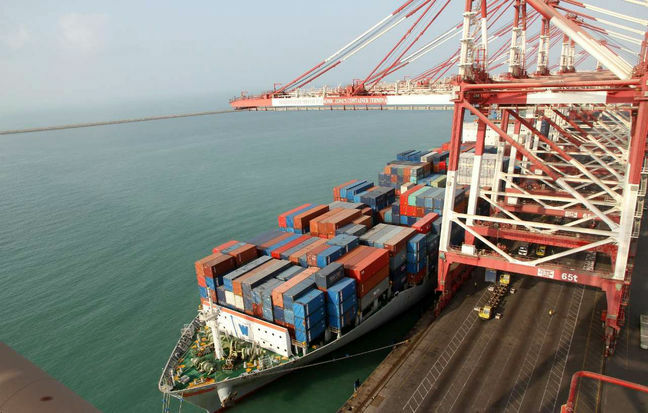 Iran's imports from the 28 EU member states over the same period decreased by around 6% to stand at more than €2.38 billion, according to Financial Tribune. The top five exporters from the European bloc to Iran were Germany with €695.52 million, Italy with €408.3 million, France with €247.82 million, the Netherlands with €210.74 million and Spain with €153.35 million. Imports mainly included nuclear reactors, boilers, machinery and mechanical appliances and parts thereof (€792.27 million), electrical machinery and equipment, sound recorders and reproducers, television image and sound recorders and reproducers and parts (€197.23 million), vehicles other than rail or tramway rolling stock and parts and accessories thereof (€187.17 million), optical, photographic, cinematographic, measuring, checking, precision, medical or surgical instruments and apparatus (€162.36 million) and pharmaceutical products (€161.14 million). Iron and steel products (€92.78 million), miscellaneous chemical products (€79.97 million), plastics and articles thereof (67.97 million), mineral fuels, mineral oils and products of their distillation, bituminous substances and mineral waxes (€53.14 million), as well as essential oils, perfumery, cosmetic or toilet preparations (€51.24 million), constituted the other imports. Total trade between Iran and EU members during the period amounted to more than €5.3 billion, registering no significant change (a 0.09% decline) compared with last year’s Q1 figures. Trade with Ireland, Latvia, Spain, Germany and Lithuania saw the highest increases of 183%, 82%, 72%, 71% and 44% respectively. Iran’s sharpest trade declines were with Malta (-88%), Bulgaria (-69%), Cyprus (-66%), Portugal (-54%) and the Netherlands (-36%). Iran's trade volume with the European Union ramped up following the implementation of the nuclear deal, formally known as the Joint Comprehensive Plan of Action, as of early 2016. That year saw bilateral trade jump more than 75% compared to 2015 to €13.7 billion. The uptrend persisted into the next year even more exponentially, as the two sides registered €20.9 billion in bilateral trade last year (2017). The 2015 agreement between Iran and world powers lifted international sanctions on Tehran. In return, Iran agreed to restrictions on its nuclear program. Now with the United States, one of the signatories of JCPOA, having announced its decision to unilaterally walk out of the landmark agreement on May 8, EU leaders are scrambling to remain in the deal together with Iran in the absence of the US. But this has proven difficult, with many European firms alarmed at the specter of far-reaching US financial penalties. Major powers and Iran agreed on Friday to move quickly to offset the US pullout from its nuclear deal and Washington’s renewed sanctions, with Tehran pressuring Europe to come up with a package of economic measures by May 31, Reuters reported.